Luisa supports Davis & Company in all aspects—administrative, consulting, finance and marketing. She assists with proofreading, billing, social media and operations. Her goal is to improve efficiency throughout the company by helping everyone run smoothly and productively. 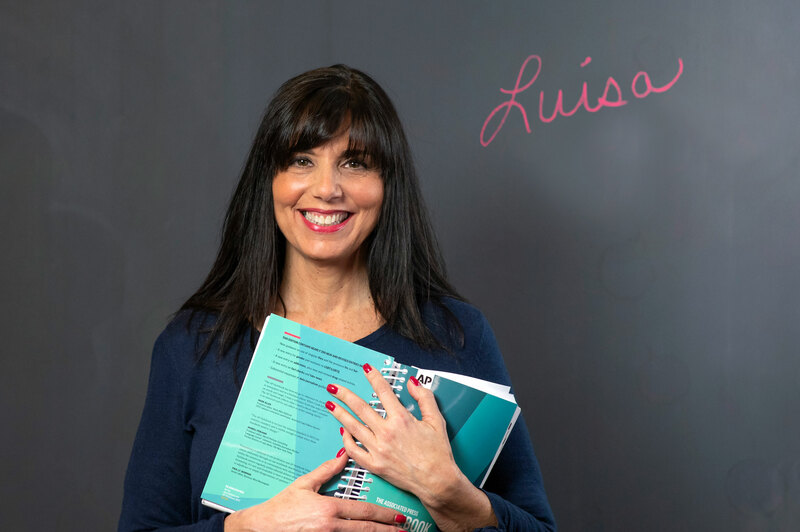 Before joining Davis & Company, Luisa worked as an office manager for Century 21 Visions Realty and Century 21 Cardinal. She supported various functions, including management, recruiting, sales and administration. Luisa earned her New Jersey Real Estate and Brokerage License from Kovats School of Real Estate and Insurance. She is certified in residential and commercial real estate. I was on a committee for Relay For Life of the Highlands. Being a small part of a beautiful event that touched many people within my community. I believe, as Steve Job’s quoted: “The only way to do great work is to love what you do!” If you love your Job, you will never work a day in your life…this is my inspiration! Food and cooking—taking a recipe and making it my own! Where do you see yourself in 5 years in your career? The possibilities are endless as long as I remain teachable! What’s one book you think everyone should read? Haiti. I took a mission trip with my Church in 2012 in a place with poverty and despair. There was so much love, faith and hope that I was forever changed! Spend the day with family and friends, eating my favorite foods: Everything! Italy, in the Village of Tuscany.